One of the best parts of summertime is grilling out. It's easy (since the husband usually grills), it's healthy (usually) and it tastes delicious! If you love grilling as much as we do, you're going to love this easy summertime grilled chicken marinade recipe from Linda Coss. Linda is a well-known food allergy expert, and author of a number of popular food allergy books. She recently contacted me with the good news that her popular cookbooks, What's to Eat? and What Else is to Eat? are now available in e-book format at Amazon, iBooks, Barnes & Noble, Kobo and most other major e-book retailers. Her cookbooks offer recipes that are completely free of dairy, egg, peanut and tree nut ingredients. And boy are they good. 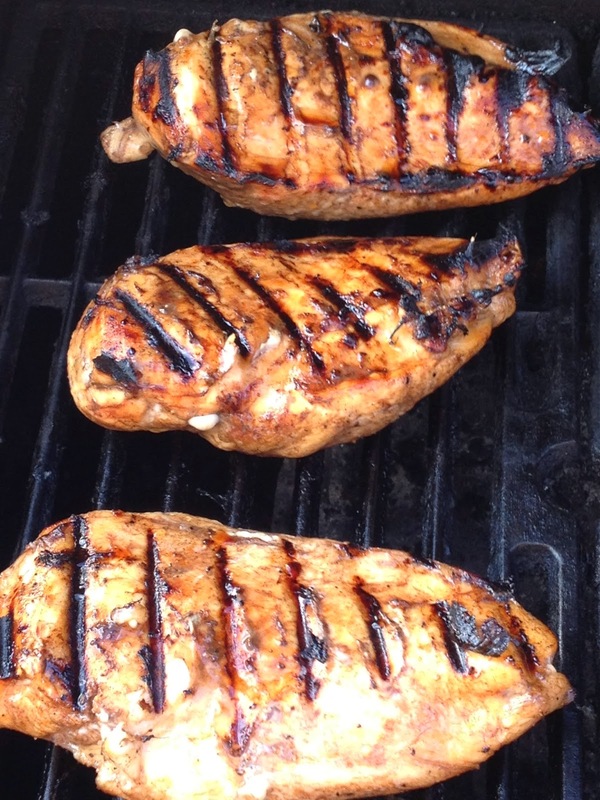 I encourage you to check out her cookbooks AND try this tasty grilled chicken recipe. I especially love that this marinade is homemade, full of healthy ingredients, and sesame-free. It's so difficult to find a store-bought sesame-free marinade. This offers a great option for families like us who can't buy marinade at the store! You’re going to love this recipe! This amazingly easy chicken dish has become one of my summertime standards, enjoyed by my friends, my children, and my friends’ children. It’s “top 8 free.” And it’s delicious left-over for salads and sandwiches, too. With summer barbecue season now upon us, I think your readers will really enjoy this recipe. Heat gas grill, then brush grill with oil. Place marinated chicken on prepared grill of heated barbecue. Discard excess marinade. Cover barbecue and cook for 8 to 10 minutes (note: If using a gas barbecue, cook over medium heat). Turn chicken over. Cover and cook for an additional 8 to 10 minutes, until juices run clear when chicken is pierced with a fork. Serve hot. Makes 4 servings (1 chicken breast half each). Note: Although this chicken is fabulous from the grill, it is not particularly good broiled. So if you live in a cold climate, save this recipe for barbecue season. Recipe reprinted with permission from “What Else is to Eat? The Dairy-, Egg- and Nut-Free Food Allergy Cookbook” by Linda Marienhoff Coss, www.FoodAllergyBooks.com. Here are Linda's amazing books. You can buy the two cookbooks in print form, or in e-book format at Amazon.com, iBooks, Barnes & Noble, Kobo and most other major e-book retailers! What's your favorite recipe that's great on the grill? Thank you for helping me get the word out that my cookbooks are now available in e-book format -- and for sharing one of my favorite recipes with your readers!